I was beginning to think she didn’t exist. OK, I outright speculated that she didn’t. Madame Valerie was the Belgian founder of Patisserie Valerie, who introduced fancy pastries to the English. At least that’s according to the company’s website. The problem was that Patisserie Holdings, the owners of the now struggling chain, had no record of her. No photos, no documents, nothing. It didn’t even know her full name. At first that seemed hard to believe, but there is one key piece of information that probably explains why so little was known about the person credited with founding the café in the 1920s. Valerie was not her name. But with some digging and some help, I can now make “Madame Valerie” a little less mysterious. Esther van Gyseghem was born in Ostende in Belgium on 22 April 1900. In her early twenties she married Theophile (Theo) Vermeirsch. 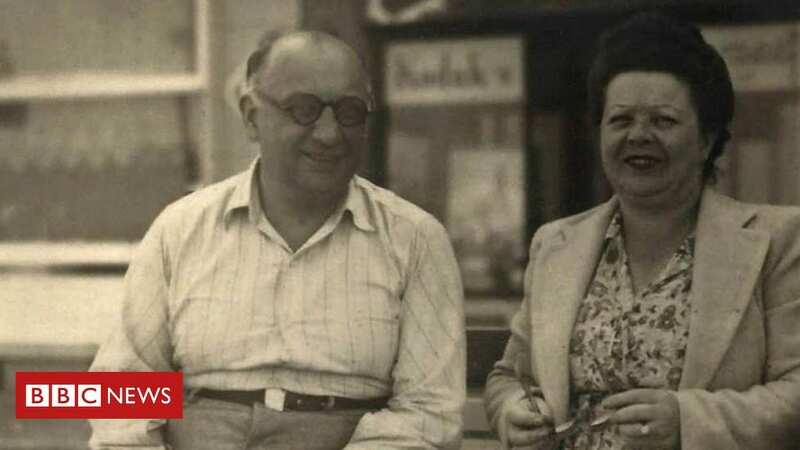 Theo had visited London before his marriage and had loved it so much he moved to the city with his new wife where, in 1926, they set up a café on the corner of Dean Street and Old Compton Street in London’s Soho. They called it Patisserie Valerie. “I don’t know why the café was called Patisserie Valerie. There are no Valeries in either of the families that I have ever heard of,” Helene (Leni) Vermeirsch, the niece of Theo and Esther, tells me. Theo had trained as a baker and did all the catering. Esther was front of house, working on the till and serving customers. According to Leni, Esther always sat at the first table after the counter “so everybody who came in got to know her”. And over the years she became known as Madame Valerie – a rare example of a company giving its founder a name. “She was a lovely aunt to my sister and myself. She was very generous to us,” Leni says. Theo died in 1947 leaving Esther in sole charge. “A woman who ran her business on her own from 1947 to 1965 – I never remember her complaining. She did it well, people liked it and that was her life,” says Leni. Following Theo’s death, Leni’s father helped Esther with the baking at the café and Leni can remember watching him work. “I loved it. I found it all rather thrilling,” she tells me. Perhaps the most dramatic moment in the history of Patisserie Valerie happened in 1941. Air raid records show a devastating Luftwaffe attack on London in the early hours of 11 May. Among the properties destroyed was the original Patisserie Valerie. Following the destruction of their business and their home – they lived on the top floor of the building – Theo and Esther were evacuated to Norfolk. But it didn’t take long for them to get up and running again. 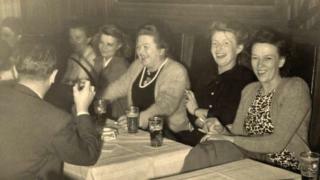 According to Leni they had reopened on Old Compton Street before the end of the war. The business remained a popular venue in London, attracting celebrities – the boxers Henry Cooper and his twin brother George were regulars. Esther eventually sold the business in 1965 and retired to Balham in south London where she lived with her sister and brother-in-law. 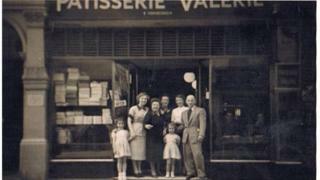 Leni’s memories of her aunt fill in some of the details about the early history of Patisserie Valerie. But some questions remain. Leni is not sure who her aunt sold the business to. She thinks it was to an Italian businessman based in Soho. There is also the question of the Fonteyn family. The Soho Clarion magazine credited them as the founders of Patisserie Valerie and there is some evidence of them in Soho and in the catering business. But Leni has no recollection of that name. Right now the survival of Patisserie Valerie is in the balance. Accounting irregularities that first emerged in October last year forced the company into administration last month. Some 71 cafés have already been closed and 122 are up for sale. Leni, though, is not emotional about the current problems.